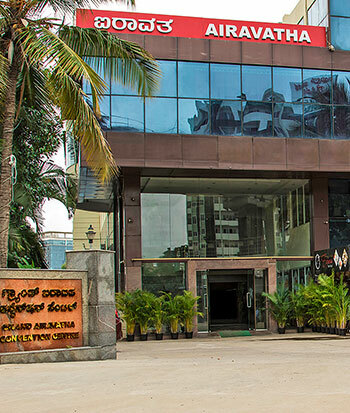 Airavatha Residency is a quaint hotel located in Rajarajeshwari Nagar off Mysore road. The hotel is located at a very opportune location right opposite Global Village tech park. The hotel offers comfortable yet affluent accommodation. The hotel is perfect for all kinds of guests, but especially business guests, considering the business facilities offered by the hotel. 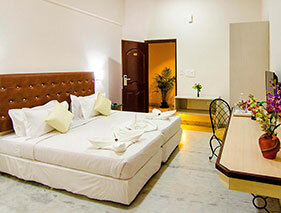 Our hotel offers a wide variety of rooms to suit the varied taste of different kinds of guests. It also houses an elegant restaurant, a conference room, and an event hall. Our services are tailor made to suit the requirements of our guests. Be prepared to experience unparalleled hospitality when you stay with us. Our property was established with the sole aim of offering a comfortable and reasonably-priced accommodation near Global Village tech park. The location is the USP of our hotel, located right opposite the Global Village tech park, it’s also perfect for anyone looking for a good accommodation on Mysore road. 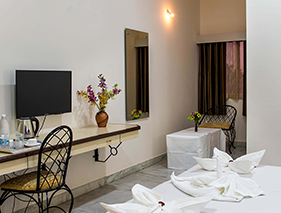 The fact that we offer all the facilities and amenities in addition to comfortable accommodation at a reasonable price is what makes our property one of the best. Nothing but the best for our guests! Our hotel hosts an in-house restaurant that caters to the guests staying at the hotel. The multi-cuisine restaurant at the hotel serves a scrumptious vegetarian fare that is prepared by the freshest ingredients by our trained chefs. You can also order room service from the restaurant if you do not want to step out of your room. The hotel also has a well designed conference room perfect for meetings and presentations of a smaller crowd. The conference room is equipped with basic audio and visual equipment that’s required in conference rooms. The property hosts an event hall that’s perfect for both personal and corporate gatherings. The event hall is quite spacious and perfect for a mid-size crowd. 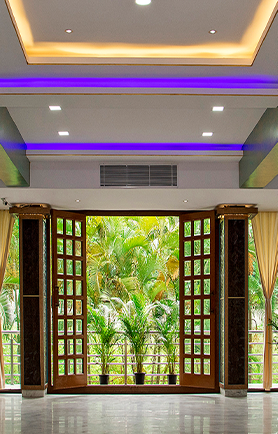 The hall can be decorated and designed to suit the guest’s taste and requirement.